We are SO excited to announce the addition of Terracotta to our line of FIXIT® – multi-media repair & sculpting compound. Terracotta has fantastic handling and sculpting ability that is sure to enhance both old and new projects. Perfect for original sculpting, repairs, restorations & everything creative in-between. Check out these neat projects using Terracotta! Terracotta saucers for hanging plants. 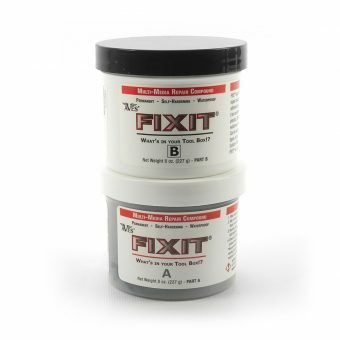 FIXIT® is Available in 3 sizes (1/4 lb, 1 lb., & 3 lb) and 4 great colors; Terracotta, Black, White &Aluminum AND + FIXIT Sculpt.